Treatment: Custom Skin Health Facial, $390 for 90 minutes. Melanie Grant has an industry reputation for results – and also fixing up skin fails made by other people. She’s the queen of bright, glassy skin with clientele like Phoebe Tonkin, Nicole Warne and Lara Worthington to name a few. 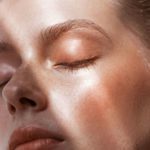 While the ultimate treatment is a bespoke clinical facial with Melanie (only go if you’re ready to invest and commit to your skin health, repeat visits may likely be required), the Custom Skin Health, Camera-Ready or Brightening facials all place strongly as contenders for total rejuvenation and brightness that’ll last more than just a day.